It’s Valentines Day and love is in the air throughout Colorado. With the stunning scenery, unforgettable sunsets, wildlife, pristine and secluded lakes, waterfalls, and landscapes, Colorado is a paradise for lovers. Some of our favorite hikes take us to viewpoints where we’re high and alone above the city, overlooking the mountains, especially spectacular in the dawn and dusk hours. From Boulder to Rocky Mountain National Parks and the Indian Peaks Wilderness, the hikes we love most remind us why we love both our lands and each other, and whether you’re in love with someone else, or just in love with Colorado, these are some of our favorite romantic trails in the state. Set high above the city, this spectacular stone arch overlooks the City of Boulder and the majestic Flatirons, offering a gorgeous vista, a challenging switch backing trail, and several rocky viewpoints high above the city. Royal Arch lives up to it’s name, especially east facing early in the day where we can see the sunrise, and late in the day when the sun is behind us and illuminating the Flatirons and the city in a magnificent golden hue. Once at the top of the trail, the dramatic rocky outcrops make for gorgeous photo opportunities, standing high above with nothing but the mountains and the horizon in the distance. Those who are looking for a short, easy, but dramatically beautiful trail will love Royal Arch. 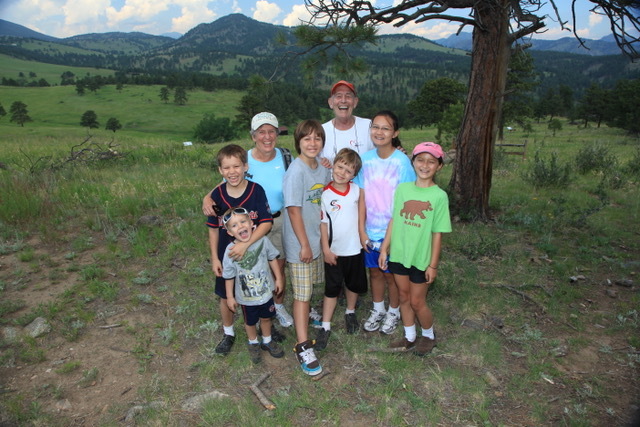 Hikers who are looking for a trail closer to Denver will be drawn to spectacular Mt. Falcon, deemed so beautiful; it was intended to be the winter home for American Presidents. Mount Falcon is only a half hour from metro Denver and with a moderate trail to the top, provides an overlook of metro Denver and the peaks beyond. From the top, hikers will get views of Red Rocks Amphitheater, the surrounding area of Golden, and the skyline of Downtown Denver. With east facing views, it’s especially beautiful when in the early morning or late afternoon. Come explore this Denver classic hike with us! Imagine yourself and your beloved at a spectacular alpine lake, surrounded by snowy granite peaks and watching deer, elk, moose, and black bears as the water calmly laps at your feet. One of many alpine lakes in the Indian Peaks Wilderness, Long Lake sits at the foot of the nearby Isabelle Glacier, with peaks that are snowcapped most of the year and provide a breathtaking backdrop to a lake that spans across to the base of Apache and Navajo Peak. For an extra mile, take a trip up to Lake Isabelle, which sees even fewer visitors and provides a secluded wilderness experience. Be on the lookout for elk, moose, deer, and black bears, all which frequently call the Indian Peaks Wilderness home. A moderate 5.3-mile trail that brings hikers to an incredible alpine basin with an unforgettable view of Thatchtop, Pagoda Mountain, and Chiefs Head Peak, all while passing by the 30-foot Alberta Falls, which comes crashing into the creek below. Mills Lake has everything: Soaring alpine views, mesmerizing waterways, wildlife, and picturesque views that are perfect for any special occasion. In the summer, the trail explodes with wildflowers, and soaring ridges, towering rock spires, and all the splendors of Glacier Gorge surround hikers, one of the seldom seen districts of the park, because of it’s long winding trails and secluded surprises. For hikers who are looking for a more secluded Rocky Mountain National Park experience, Mills Lake will take you to the very edge of the parks famed trails. Frozen in the winter, and water softly lapping in the summer, Emerald Lake, surrounded by Flattop and Hallett Peak, is one of the most iconic trails in the park, with a trail that traverses high ridges and dense woodlands, passing by a series of pristine alpine lakes and taking hikers to the center of a granite cirque, where towering walls dwarf hikers, and elk, deer, and coyotes make their way through the forests. Much loved by Coloradans, Emerald Lake is a picturesque wonderland of what makes Colorado’s scenery legendary: crystal clear alpine lakes, wildlife, snowcapped peaks, and some of the most famed trails in the West. 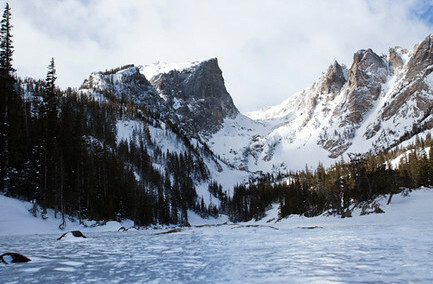 With a moderate trail, Emerald Lake is beloved by Rocky Mountain National Park visitors from across the world. One of the quintessential lakes of the Front Range, the moment you arrive at Brainard Lake, you’re treated to a breathtaking mountain skyline vista, as the entire Indian Peaks Wilderness seemingly rises in the distance. Brainard Lake is excellent for wildlife watching, as moose and elk are frequent visitors here, and the shore of the lake, with the mountains rising dramatically in the distance make for spectacular photo opportunities. From Brainard Lake, trails branch off into smaller, more secluded locations, such as Blue and Long Lake, as well as Lake Isabelle and the gateway of the Indian Peaks Wilderness. Especially seen early in the morning or late in the day, Brainard Lake is one of the highlights of the Indian Peaks. Bask in the glow of red rock canyons as you float down a lazy river exploring the splendors of Northern Colorado. On the Upper Colorado you get to enjoy beachside camps, animals such as black bears and bighorn sheep, tranquil waters filled with some of the state’s prized trout, and views unique not only to the Colorado but to the West as a whole. 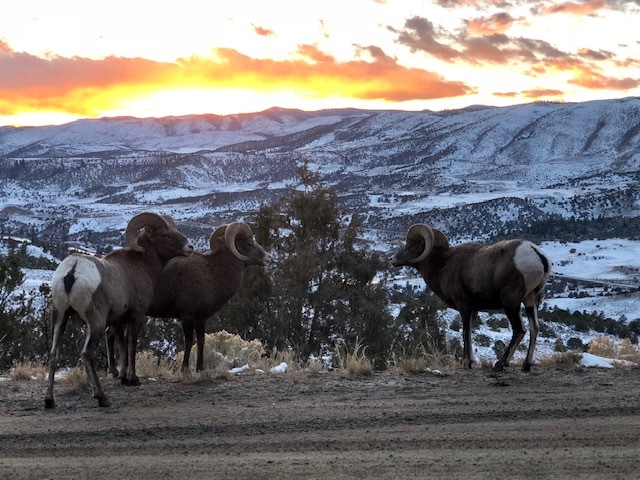 To take an overnight trip on the Upper Colorado is to be set under a star-strewn sky at night and some of the best sunrises and sunsets in the state. Along the river there are opportunities for cliff jumping, hot springs, swimming, and exploring caves. A one-day trip is just enough to explore the river, but a two-day trip will take you beyond what many other than locals get to see. Join us for a romantic jaunt on the Upper Colorado River.